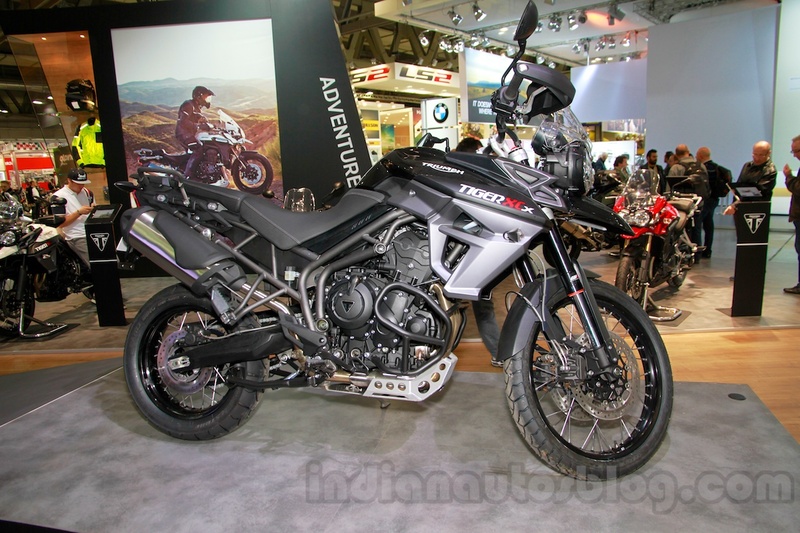 Covers both touring and off-road. 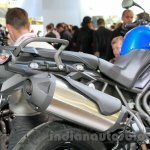 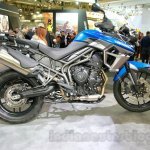 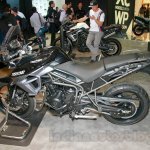 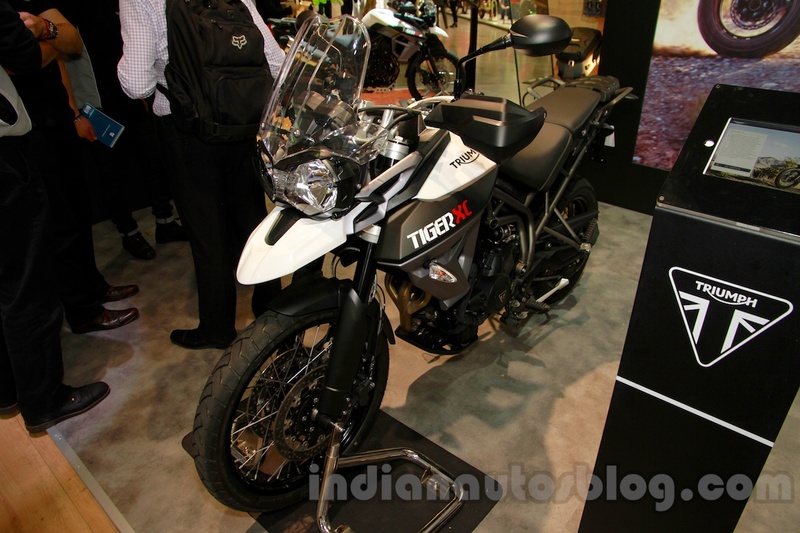 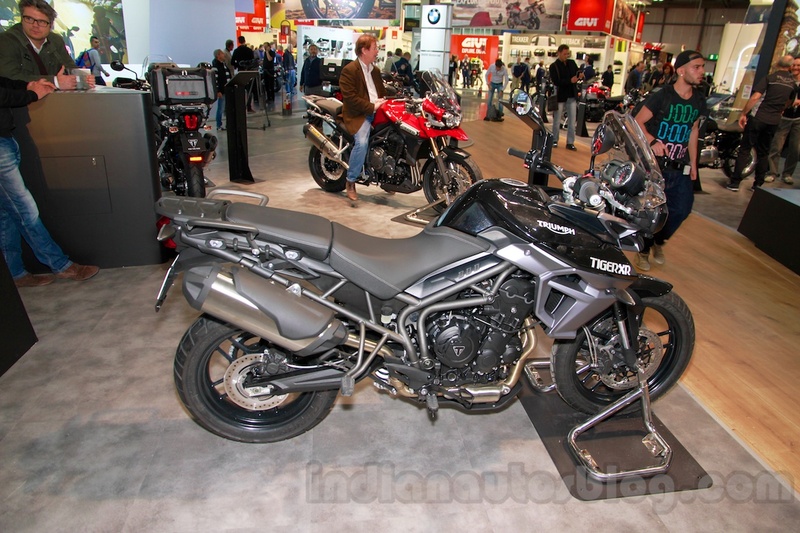 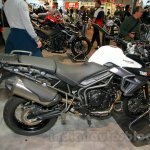 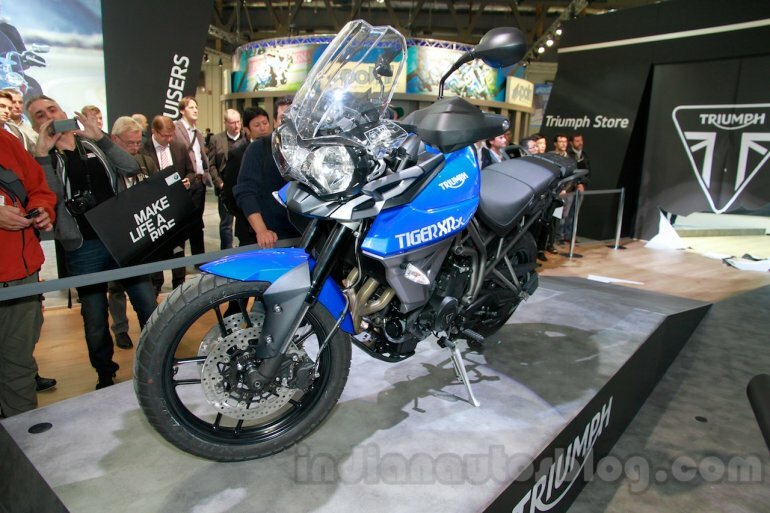 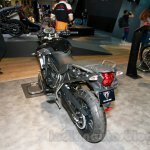 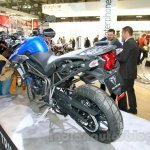 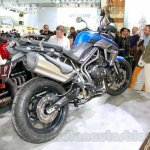 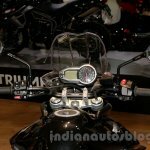 Four variants of the 2015 Triumph Tiger 800 namely the XR, XC, XRx and XCx have been unveiled at the EICMA 2014. 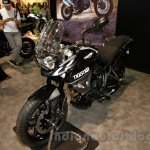 The company says that the elaborate variant lineup is to cover a wide range of audience. 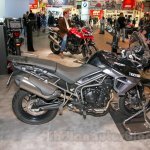 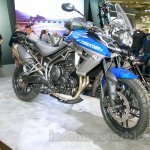 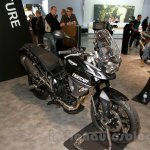 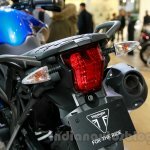 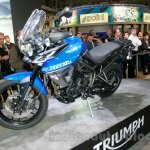 The Triumph Tiger 800 XR is suitable for riders who intend to have majority of their journeys on the road. 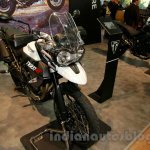 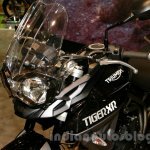 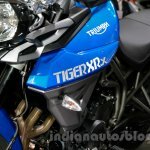 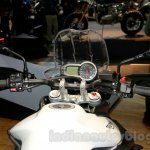 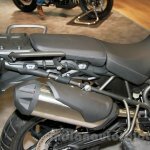 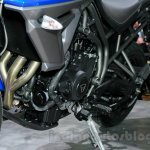 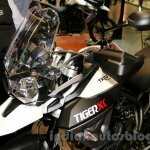 The Tiger 800 XR is equipped with a Showa inverted telescopic fork at the front and Showa monoshocks at the rear which offers preload adjustment. 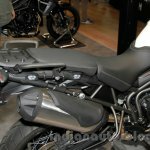 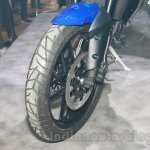 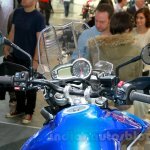 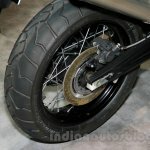 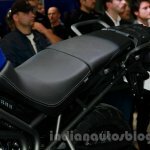 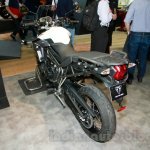 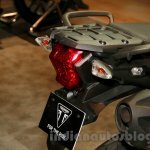 The standard equipment list include alloy wheels, trip computer, a sump guard, hazard lights, adjustable brake and clutch levers and a 12v electrical supply. 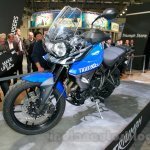 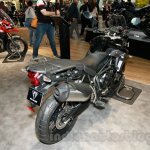 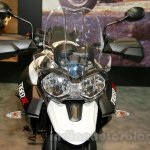 The top-end Tiger 800 XRx adds an advanced trip computer, Road and Off-Road riding modes apart from three configurable riding modes, auto-cancel indicators, cruise control, centre stand, knuckle guard, 'comfort' seats, adjustable windscreen and additional 12v power socket. 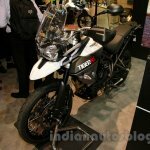 The Tiger 800 XC is the one to go for if the rider is looking to tread off the road. 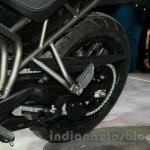 The main difference comes from the rugged fully adjustable WP front (inverted telescopic fork) and rear (monoshock) suspension setups. 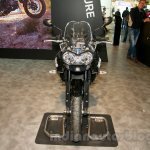 Compared to the XR twins, the XC twins have a higher (by 10 mm) seat height of 820 mm. 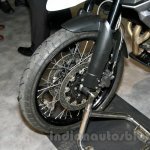 The XC variant comes with standard spoke wheels, a high-mounted front mudguard, trip computer, radiator guard, sump guard, hazard lights, adjustable brake and clutch levers and a 12V power supply. 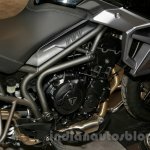 The top-end XCx variant packs in engine protection bars, an aluminium sump guard and all the features offered by the XRx. 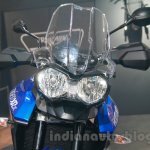 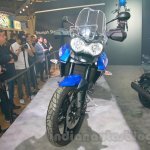 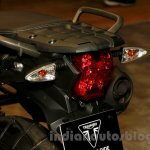 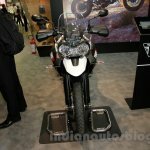 All variants are powered by the 800 cc inline triple which puts out 94 bhp at 9,250 rpm and 79 Nm at 7,850 rpm, when paired to a 6-speed gearbox.